Are you looking for ways to fund your postgraduate studies? 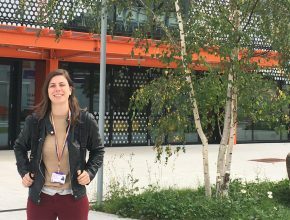 One of our students, Julia shares her story on the Chevening scholarship and her experience at Loughborough University London. My name is Julia and I am a 27-year old Brazilian student. After graduating from my first degree in Physical Education in Brazil, I decided to apply for a Masters abroad. However, I had my concerns because a master’s abroad without any support can be very expensive, having to pay for university fees, accommodation, food, transport and more. So I started to look for scholarships that would support me financially and I found the perfect one…Chevening! Chevening is a UK government international awards scheme aimed at developing global leaders. This scholarship is funded by the Foreign and Commonwealth Office (FCO) and some other partner organisations. The scholarship offers a unique opportunity for aspiring leaders and influencers from all over the world to develop professionally and academically, as well as experience UK culture and build positive relationships with the UK. After finding the Chevening scholarship, I began researching universities aiming to find a course that was best for my career prospects. After long days of research, I found the MSc Sport Business and Innovation programme at Loughborough University London, which was the only programme I found that combined sport and innovation in a dynamic way. This course enables the student to gain a deep insight into each module by studying one module for a period of three weeks, which for me is a good time to learn a new subject. Moreover, the university has partnerships with several organisations which put students in a very good position to be offered internships and attend important events. 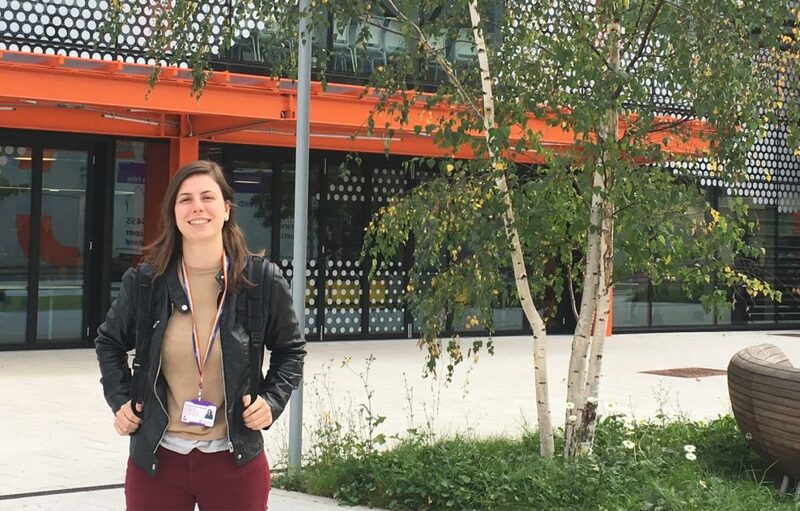 What made my decision even easier was that the course was at the Loughborough University London campus, and London is a city that I have always wanted to live in and experience. As well as this the campus in next door to Queen Elizabeth Olympic Park! London is a fast-paced city and some would say that it is a suffocating place to be. Millions of tourists and workers crowd the streets and tubes, always in a hurry to get somewhere and the city centre on weekends gives the impression that the whole world has teleported there to shop. This is what the most populous city in Europe and one of the world’s major financial centres is like day-to-day. For me, this excitement is one of the main reasons why I love this city! 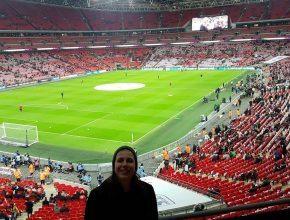 And most importantly, in London I can attend amazing football matches in great stadiums, which for me is the best part. 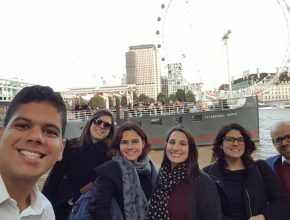 Thanks to the Chevening scholarship, I have met amazing people from all over the world, even from countries that I didn’t expect. I believe studying in London has made me the professional and also the person I am today. Thank you Julia for sharing your story. Chevening applications are now open for 2019 entry. To find out more about the scholarship and how to apply, see our blog post on the scholarship here.